Committed to students’ intellectual development, faculty research accomplishments, and making important contributions to local, regional, and national issues, and policy analysis. We are a growing and vibrant department with 300+ undergraduate majors and 80+ minors. In order to provide the highest quality education, our faculty actively participate in scholarship. Scholarship activities of our faculty include environmental and natural resource economics, urban and regional development, energy economics, economic history and economic policy. Given the breadth of expertise of our faculty, we are able to offer a wide range of courses. Our faculty is committed to fostering a strong sense of community, and students enjoy extensive interaction with faculty members. Explore our site and learn about the exceptional educational opportunities in the Department of Economics. We will happily answer any questions you may about economics programs. Have you ever thought about whether free trade between the US and China benefits Americans? Opportunities for new markets in developing countries? Why we have pollution and what cost does it create for our society? Economists think about these and many other questions that affect our lives every day. Economists use logic, reasoning and quantitative methods to help answer some of these questions. A degree in economics opens up many employment possibilities within government, the private sector and non-profit industries. 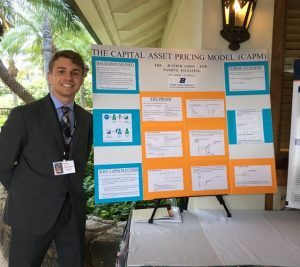 Economics majors gain versatile skills such as analytical and critical problem solving, observation and inference from data, and written and oral communication. Having these skills opens up employment possibilities in many industries such as banking, energy, government, consulting, healthcare, education and agriculture. The American Economic Association has a few pointers on careers too!